Adding this top to your stylish wardrobe. 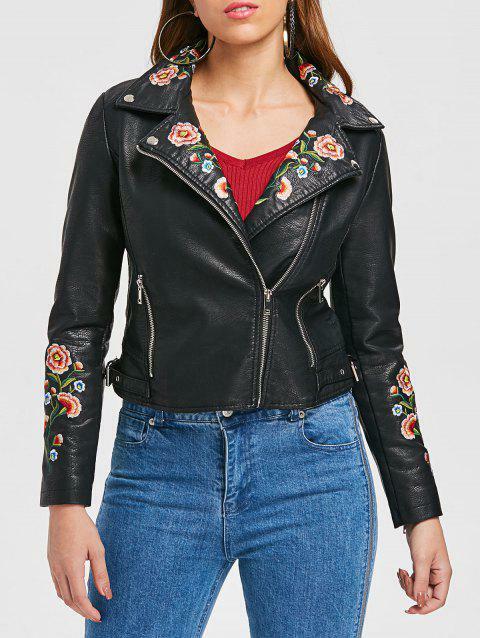 This sassy jacket featured in faux leather fabric, two zipper pockets, zipper front design with lapel styling and common slim fit silhouette. Plus floral embroidery to complete the chic look.